Laura Chaplin is an artist, specialising in printmaker, and teacher of art. 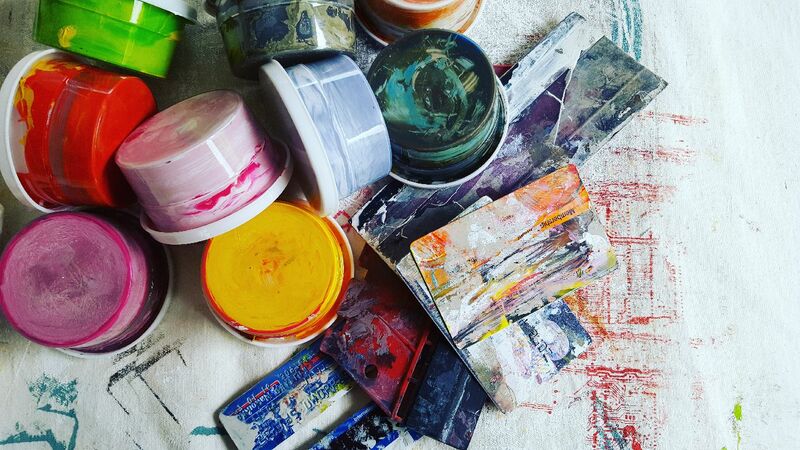 She practises in the use of printing, dying/removal of colour and collage to create multi-layered artworks. Her pieces range in size from large canvas backed pieces or free hanging panels to small, fragile works encased in acrylic blocks. I was born on the North East coast of the United States and transplanted to the Uk at a young age. I was raised by parents from one culture and educated in the system of another. Being a third culture kid has given me the opportunity to adopt all ‘the best bits’ of each culture’s approach – The American spirit of you can do anything along with the British propensity for circumspection and refinement. My art practice revolves around looking and seeing – pattern, colour, texture, contrast, harmony, dynamics. Seeing overlooked beauty in nature and in the manmade world. Finding inspiration wherever it presents itself. I love being an artist. Having an artist’s eyes and brain. Having the ability to see potential in the mundane. This process of looking keeps me happy, energized and at peace all at the same time? I love that I can see beauty in imperfection. I love that in my darkest moments I can look to nature and feel uplifted and calm. Teaching allows me to express my creative self through designing projects and sharing the creative process. Young people are so open to what might be. We have fun challenging the norm and discussing what might be. We share techniques and help each other to overcome fears and find our own paths. It is both exciting and challenging. There is a real joy in watching young people reach their potential. Teaching allows me to pass on my love of the creative process. Being an artist allows me to live it.